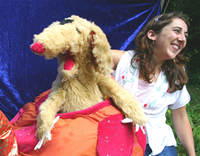 WishWorks offer eye-catching shows for children, involving puppetry, story-telling and song. The company offers art, puppet making and story- telling and carnival workshops, amongst others, for adults and children and those with extra support needs.They are also available to lecture at conferences and events. 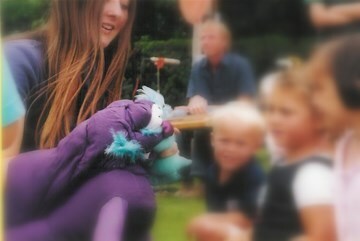 WishWorks have been working with puppets since 1999. All our work is professional and evaluated continuously to maximise public benefit. Our focus for workshops is on community inclusive process orientated work; facilitating creativity and raising awareness of environmental and social issues, as well as providing high quality entertainment. WishWorks are a not-for-profit community organisation run by committee. All players are self employed. Those who work directly with the public have up to date CRB checks and public liability insurance. Click here to see our constitution and child protection policy. Sally co-founded metro-boulot-dodo Theatre Company in 1997. With this experimental theatre company she toured extensively nationally and in Europe and Eastern Europe, winning international theatre awards. Sally has taught Drama at a secondary school as well as leading workshops in experimental theatre, devising techniques and Forum theatre. Since co-founding WishWorks Sally has specialised in children’s theatre, she writes scripts, leads workshops, performs and is the Artistic Director. 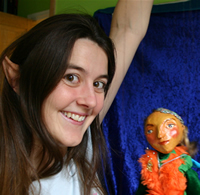 Sally has also been a puppeteer for The Little Angel Theatre, Long Nose Puppets and the Sooty Show. Katie is a founder member of WishWorks and the organisation’s secretary. She worked on all productions from 1999 to 2007 producing puppets, costumes and sets and performing shows. She has vast experience in running projects with children and a background in performance (LAMDA medals in Speech and Drama). Katie has completed a course with Same Sky in “Celebratory Community Arts” and is a lead artist for the Lewes PATINA project. Katie also has commissions and exhibits as an artist (painting and print-making, window displays, murals, mosaics and puppets). 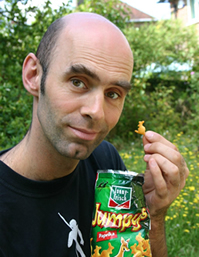 Andy Miller is a storyteller, puppeteer and writer. He writes many of WishWorks shows, makes puppets and sets, and runs workshops. Andy trained originally as an artist and therapist, working variously as a mural painter, Christmas grotto builder and community artist with MIND. 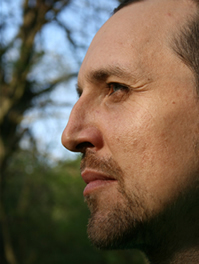 He had a private therapy practice for twelve years in Leeds, working with children and adults. 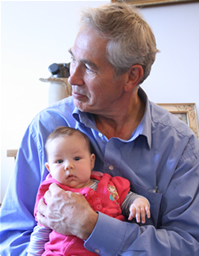 He developed his own style of working with children, using creative play, drawing and storytelling along with therapeutic training. "You're a story teller - tell them a story - make it good one!" He has been part of WishWorks ever since. Australian musician Mal Webb has written songs and performed with WishWorks at festivals and events since 2000, whenever he is in the same hemisphere. His music is original and unforgettable. 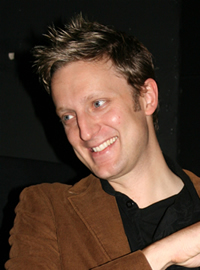 Occasional presenter with WishWorks, Marcus is a talented and experienced actor/director with his own company providing history shows for schools, Creative Education UK. Jim has a background in furniture restoration and is the originator of WishWorks’ ingenious set designs for the Cycle Circus (a proscenium arch puppet theatre that packed down onto bicycles), Whispering Smith, Fynn Dragon, Jamie’s Dog Dinners, Excalibur Carrot, the Terror of the Deep and the Dog Show. Now retired from his furniture business, Jim spends his time making and installing Stiles with the Monday group, making and selling bird, bug and hedgehog boxes, and maintaining the village hall. Chris composed and played music with WishWorks from 2002 - 2008. 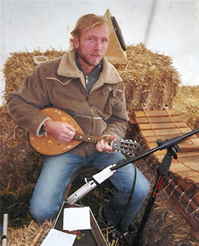 He uses hammer dulcimer, voice, mandolin, Celtic harp, whistles, acoustic guitar, mbira, zither and percussion to create magical worlds and humorous themes. WishWorks have worked with many other amazing musicians, artists and performers and many of these are still members of the management committee. Here are links to some of their web pages.